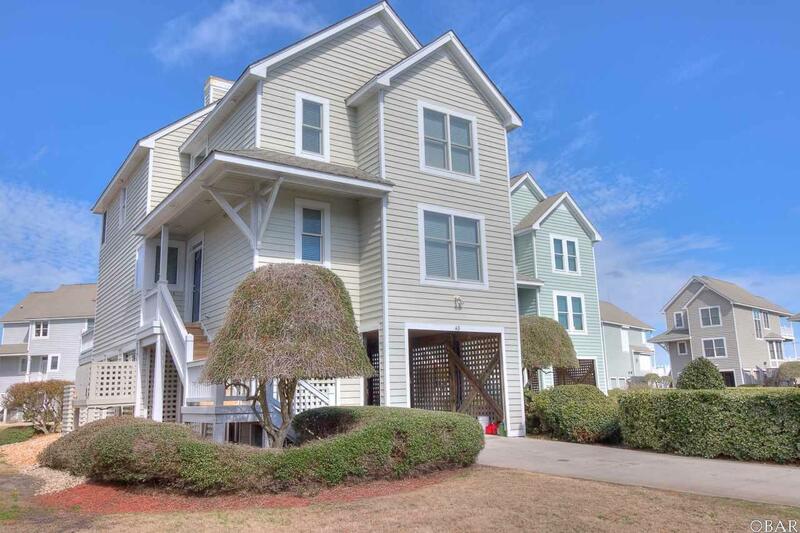 48 Sailfish Drive, Manteo, NC.| MLS# 99462 | Outer Banks Homes For Sale, North Carolina Home Search Including Nags Head, Pirates Cove, Manteo, Kill Devil Hills Kitty Hawk, Southern Shores, Duck, and Corolla North Carolina, Oceanfront and Soundfront properties for sale and long term rentals. Very well cared for home in Pirates Cove, Sailfish Point. Three bedrooms, three full baths. First floor guest suite with access to full bath. RECENTLY UPDATED TO INCLUDE NEW STAINLESS KITCHEN APPLIANCES, HAS PROPANE JENN-AIR RANGE, SHIP LAP IN GREAT ROOM AND DINING. NEW TILE IN BATHROOMS, ALL NEW FIXTURES,etc, etc. if you've seen it before, come see it again! Vacant and easy to pop in. Floors have yet to be polished...all else almost done. Peeks of sound view! Open floor plan design with plenty of storage for year round, second home or vacation rental investment. Pirates Cove is just 5 minutes to the nearest Nags Head beaches and 25 minutes to Oregon Inlet by boat. Amenities include: 24/7 gated community, (2) pools, tennis cts, fitness ctr., clubhouse, volleyball court, playground and miles of lighted docks to walk and fish from. Full Service Marina, ships store, onsite restaurant and tiki bar. Come and enjoy the Outer Banks Lifestyle at Pirates Cove!